For Velati Anuga 2018 it will be an exhibition of consolidation, given massive and decades presence on the international market where we have always had excellent references and collaborations. But above all it will be a show full of innovations and new technological solutions that will certainly arouse the curiosity and interest of many operators in this market, given the high degree of efficiency and productivity that we’re going to meet. 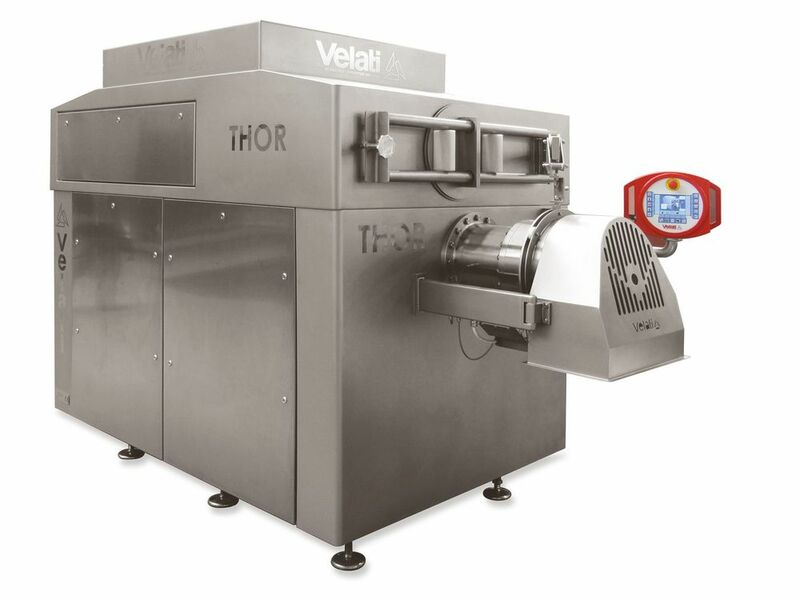 At the stand can see the new grinder breaker, constructed entirely of stainless steel, it is used for breaking and grinding frozen meat blocks, up to temperatures of -20°C. The motor power and the capacity of the machine can reach even very high productivity up to 10 tons/hour. It is equipped with plc and its touch screen control, is fully controllable by the operator through an intuitive and simple menu. This machine is available in three different versions according to the customer’s needs: single crushing worm, a double and parallel worm system or breaking system above the worm to obtain already at this stage minimum grain sizes, that can be also equal to 6mm in an only processing. Can be automatically fed by a paddle inclined belt, which is synchronized with the machine itself, it ensures a continuous and fluid supply, with obvious advantages from the economic and production point of view. 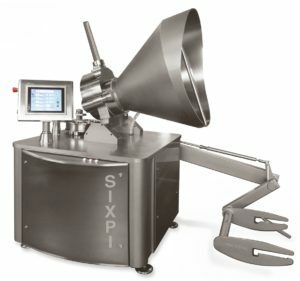 Do not miss the attention for the continuous vacuum filler type Sixpi. With a multiple rotating piston filling system is a guarantee of high quality and productivity. The final product is not urged in a stressful due to the delicacy of the system and therefore is not ruined by the exit filling tubes. It can be connected to any type of clipping machine, and can be automatically set to produce pieces in diameter and fixed weight thanks to the appropriate portioning device.